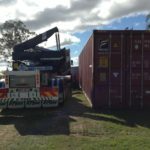 Affordable Containers specialise in the supply of new and used shipping containers and Logistics Services. 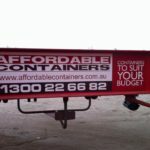 Affordable Containers are a 100% Australian owned and operated company specialising in the supply of new and used shipping containers to the Wholesale and Retail markets. We provide sales and hires solutions Australia wide, with various options to suit your budget. 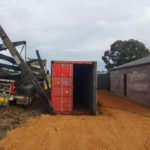 If you need a container to store tools and machinery, bric a brac, furniture, surplus inventory, stock feed, just about anything, Affordable Containers will supply a suitable shipping container for your requirements. 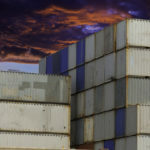 Certified containers can be supplied for International export and interstate rail or sea movements. We offer 20’ and 40’ dry standard, refrigerated (operating or non-operating), open tops, flatracks and other specialised containers, most of which can be modified (upon request). 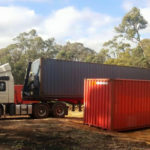 Our close relationship with Transport providers means we can arrange prompt hassle free delivery to your premises, delivery is not limited to only local areas, we’ve covered places such as Phillip Island, Wodonga, Kinglake, Mansfield, Geelong, Kyneton (Victoria) Gawler, Truro, Robe, Yankalilla, Adelaide Hills, Barossa (SA) Sunshine Coast, Russell Island, Gold Coast, Mt Tamborine, Ipswich (QLD), Newcastle, Wollongong, Central Coast (NSW) Mandurah, Rockingham (WA).